If you had an extra seven minutes in the day to improve your fitness and wellbeing, what would you do? We’ve teamed up with Yogi Tea to give you a few ideas. Stretching after a run or workout? Look, I know it’ll increase my flexibility and range of motion but I’ve got to rush home to make dinner/answer emails/binge watch Stranger Things. Strength training? Yeah, it might stop me getting injured and it’ll probably make exercise feel easier in the long run but I just can’t fit it in around my running/spinning/work/the pub. Meditation? Nah mate, I’ve got to answer these 732 emails, prepare a Power Point presentation and finish off three pitches. Oh and by the way, ‘I’m SOOO stressed’. So, what if you had an extra seven minutes a day? That’s right, seven free minutes to do with what you will. 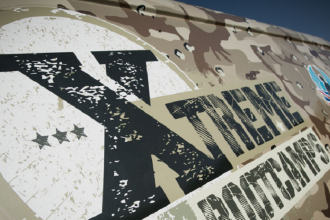 It might not seem that long but you’d be surprised just how much you can fit in. Seven minutes to de-stress with some breathing exercises, stretch out those hamstrings, work on your balance, do some squats, improve your creative thinking with a bit of a doodle. So where are these magic seven minutes going to come from? No, you don’t need to get up any earlier. In fact, all you need to do is make a cup of tea. 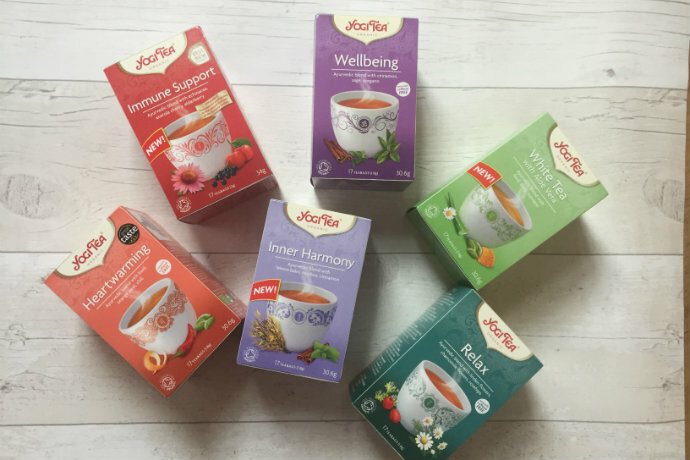 Yogi Tea specialise in herbal and spice teas based on Indian Ayurvedic teachings about the balance between body, mind and soul for wellbeing. The blends not only taste great, they have a function too. ‘Relax’ with linden, chamomile flowers and rosehips is designed to make you feel peaceful and tranquil; ‘Immune Support’ with echinacea, acerola cherry and elderberry is a good one to have during snot season; ‘Inner Harmony’ is soothing; and Yogi Tea say our personal favourite ‘White Tea with Aloe Vera’ containing daisy and turmeric, is the essence of ‘gentle sweetness’, which is how most people describe us too. Anyway, Yogi Tea say the optimum time to infuse your cuppa is seven minutes on average. So instead of complaining that no one ever fills the office dishwasher right or trying to brush your teeth, tie a shoe and put your mascara on all at the same time, why not use those seven minutes of brewing time for something more productive. Here are some of the things we’ve been trying. Share your own ideas on social media, hashtag #7minuteschallenge #yogitea and give us a tag so we can check them out. You probably don’t want to try this one in the office (although it depends where you work) but when you’re waiting for your morning brew, a few sun salutations help wake up your major muscle groups, get the blood flowing and energise your mind. This guide from yogi Jessamyn Stanley will help you perfect the sun salutation and there are loads of other easy yoga poses on the Yogi Tea site, try the waking up one, guaranteed to make you laugh. It may sound weird but this does actually work. 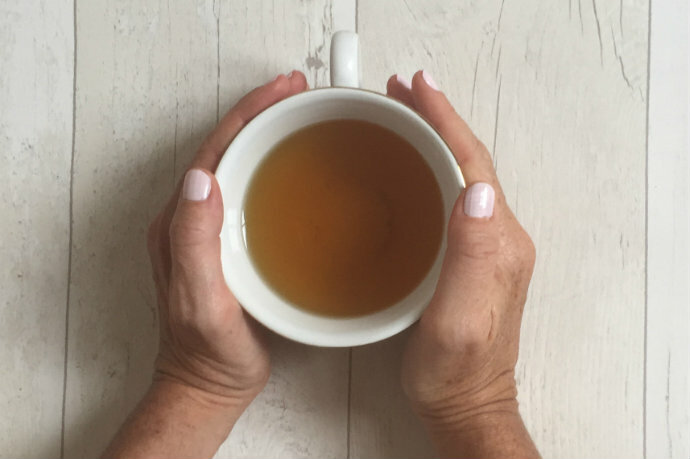 Yogi Tea have a guide to integrating mindfulness into everyday life on their website and we totally nicked this exercise from them. Again, probably one best done in the comfort of your own home. Sit cross-legged with a straight spine. 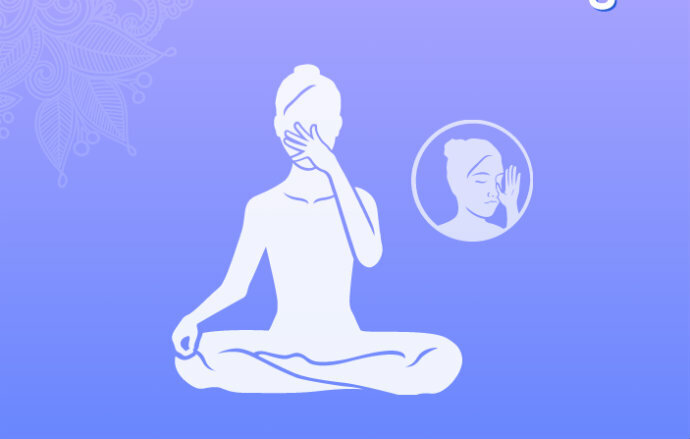 Close your left nostril with your left thumb and breathe only through your right nostril. You should feel energy flow through you. We reckon it’s best done with your eyes closed and try and keep your in breaths and out breaths the same length. You only need to do it for three minutes so you’ve got a whole four extra minutes to watch Lorraine afterwards. Balance is one of the things we often neglect in our fitness routine but it helps our joint stability, meaning less likelihood of injury – particularly if you’re walking or running off road or working out on uneven ground – improves your posture, core and leg strength, agility and coordination. One simple balance you can do while you wait for your tea to infuse is to stand on one leg for two minutes and then swap to the other, ensuring your keep your upper body tall. This works your ankle strength and ligaments as well. Too easy? Close your eyes. Not so easy now, eh? Plank, side plank, alternating between high and low plank. If your kitchen side has a corner where it meets, hold your own bodyweight by facing away from the work surface and putting one hand on each side, lifting yourself up and seeing how long you can hold it. If it’s too easy, you can raise your legs towards your chest and down again. At school and college I (Charlotte) used to draw all day – I found it was I had my best ideas – but at some point in adulthood I just stopped. 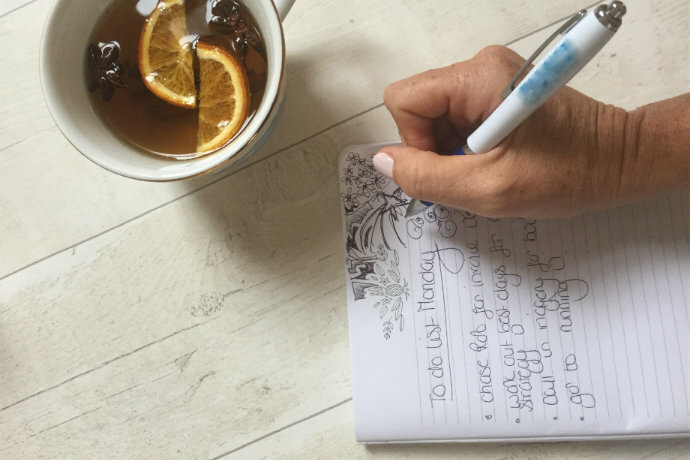 Doodling isn’t just a way to keep yourself occupied in a dull meeting, studies have shown it can help improve your memory and ability to retain information, improve focus, reduce stress and help you think more creatively. Dedicate a few minutes a day to doodling and see where the blank page takes you. While you’re more flexible after a workout, stretching at any time is beneficial for keeping your muscles healthy and supple and maintaining a range of movement in the joints. Especially if you’re sitting down all day at work, which can lead to tight hamstrings. Walk around for a minute first to warm up the muscles then try these stretches. Calf stretch: Bending your left knee in a lunge shape, place your right leg straight out behind you, heel on the floor. Place hands on kitchen side and stretch into right calf for 30 secs. Repeat on left side. Hamstring stretch: Bend your left knee and place your right leg straight in front of you. Sit into the left leg tilting your bum towards the sky. Keep your right foot flat on the floor for 15 secs, then lift toes towards sky for 15 to increase stretch. Repeat on left leg. Glute stretch: You can hold the kitchen side for support if you need to here. From standing, bend you left leg slightly and lift you right leg up and place your right ankle just above left knee. Sit into it and try and for 30 seconds, Repeat on left. Quad stretch: Standing on your left leg, feet hip-width apart, take your right ankle in your right hand, keeping your knees together. Tilt your pelvis forwards to increase the stretch and don’t lock out your standing knee. Hold for 30 seconds, repeat on left side. If your back and shoulders are aching from slumping over a keyboard this should give you a quick reset. Upper body and arm stretch: Clasp hands together, plans facing outwards, push arms up above the head. Hold for 30 seconds. Tricep stretch: Raise right arm, bend it backwards so right hand is in middle of back and use other hand to gently pull elbow towards left side until you feel a strict. Hold 30 seconds and repeat on other arm. Standing cat cow: Feet hip-width apart, legs slightly bent, lean forwards and place your hands on thighs just above knee. Round your back so head and shoulders are curved forwards. Then arch your back so your chest is open and shoulders back. Shoulder shrugs: Shrug shoulders up and down 10 times. Upper trap stretch: Lean your head to one side so your ear is towards shoulder. Hold for 10-15 seconds. Repeat on other side. Got any other creative ways to spend your seven extra minutes? Let’s see ‘em then. 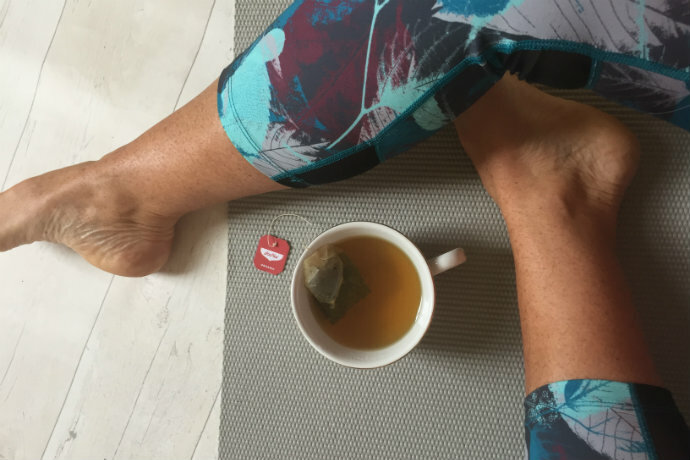 TAG @lungesandlycra and #7minutechallenge #yogitea on Insta. This content is sponsored by Yogi Tea.